The company manages waste through various procedures which ensures a reduction in the quantity of contaminants as well as the minimisation of waste generation. energy management shall focus on power (electricity and gas) and water usage through a process of education and review and improvement of work practices. A waste assessment and review is conducted on each site to determine current practices and measures of compliance to the company’s objectives and targets. The resultant gap analysis provides indicators of performance as the focus of continual improvement. measurement of recyclable through audit of current practices. Quarterly measures of improvement are reported to depot and Company Managers. An annual report is generated by the Company and disseminated to interested parties. 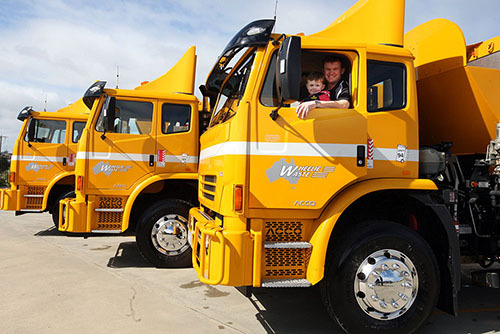 Wheelie Waste Pty Ltd recognise the importance of ensuring the facilities, vehicles and equipment used by employees in their everyday work provides a safe, hazard free environment. We believe our safety performance is second to none. Our management has achieved this through our ongoing commitment and close supervision of the operations. The culture of the organisation will embrace the fundamentals of OH&S. This philosophy will become a cornerstone of the organisation ethos. The management of risks in terms of OH&S and the environment are considered an important factor. They provide both a safe working environment and also community safety and environment responsibilities, which are considered a composite part of the Wheelie Waste management system. Procedures and plans are established and maintained to manage health, safety and the environment. Records of the effectiveness of such systems are maintained and monitored.